If you’ve heard the terms azoturia, Monday morning disease, tying up, or equine rhabdomylosis and never been quite sure what it is, then this is the blog for you! 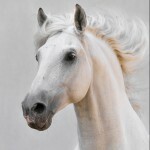 Any horse can suffer with azoturia, although it is more common in female horses, whether mares of fillies. Sometimes the cause is fairly obvious, but in some cases it isn’t. In all cases, if you think your horse has had an attack of azoturia, call your vet and ask for advice. The only real way to confirm is through blood test as the levels of two different muscle enzymes rise. 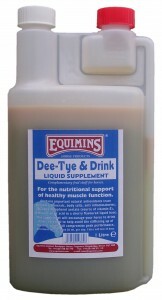 The level of these enzymes relates to the level of muscle damage the horse has sustained. There are several reasons why horses suffer with azoturia – some are easier to address going forward and others are more challenging. Electrolyte loss can be one, so it’s something to be very aware of with performance horses, but feeding and management issues can also be triggers. There’s also a syndrome, polysaccharide storage myopathy syndrome, which makes horses far more susceptible. This is just a brief overview, there are other reasons too. Azoturia compromises the muscles. This can manifest in a reluctance to move, an inability to move, muscles spasms and anxiety related behaviour. If the episode has been severe, you may also notice that your horse’s urine has become brown or red. All the above should be conveyed to your vet. It’s important that a horse suffering from an episode of azoturia receives the correct immediate care. Stop exercise, keep him warm, stable him, offer water and hay, and call your vet. Speak to your vet about how to prevent future episodes (this will depend on the cause of your horse’s azoturia and, therefore, what triggered the attack) and also how to start work again when the time is right. We do supply a range of products that help to support performance horses. Products include Revitalyte Electro Salts, Electrolyte Paste and Dee-Tye & Drink. See the full Performance range here.